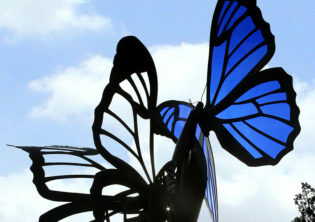 “Metamorphosis” butterfly sculpture depicts the life cycle of a butterfly in a sensitive manner. 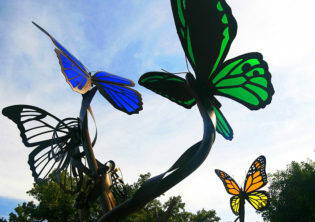 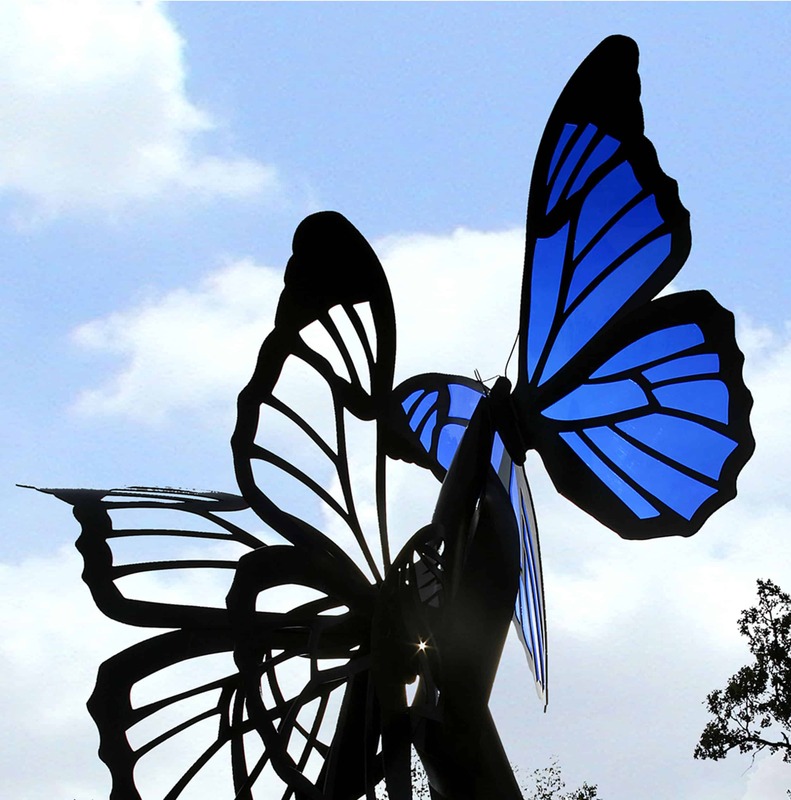 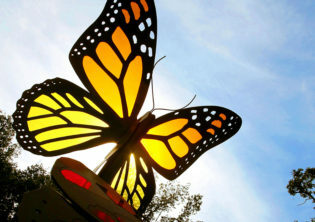 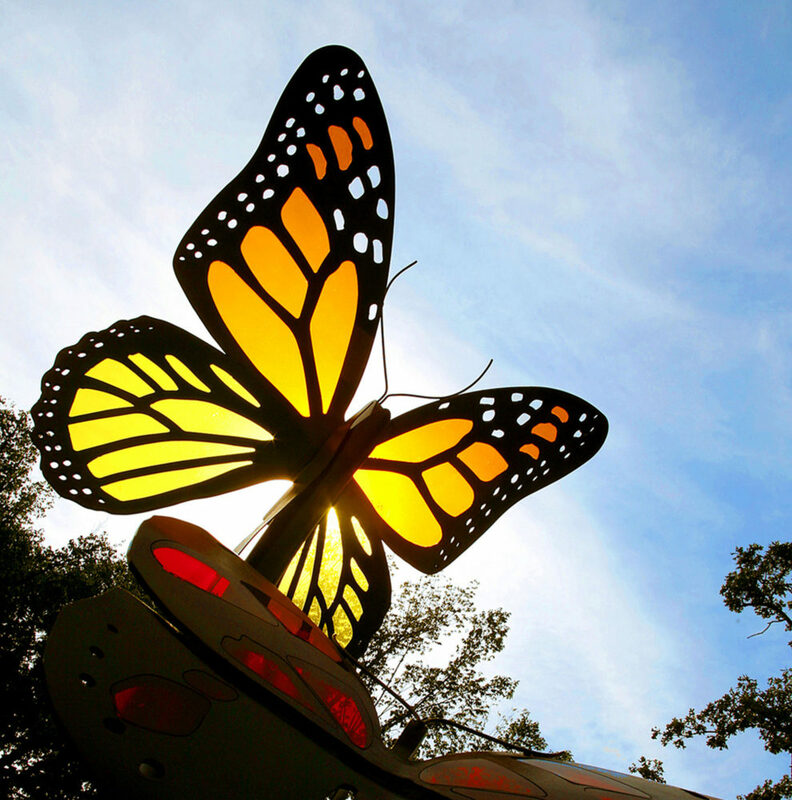 The acrylic panels of this 18-foot-tall butterfly sculpture sparkle in the sunshine. 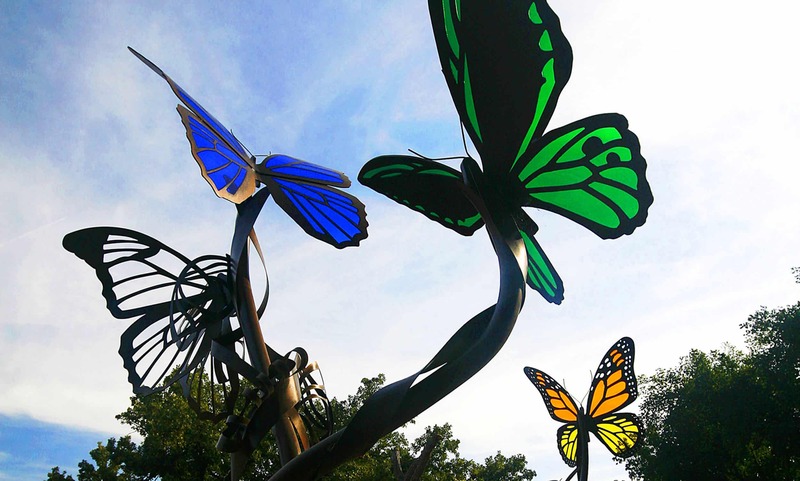 This colorful butterfly sculpture has become a dramatic focal point at Omaha’s Henry Doorly Zoo and Aquarium – Butterfly Pavilion.